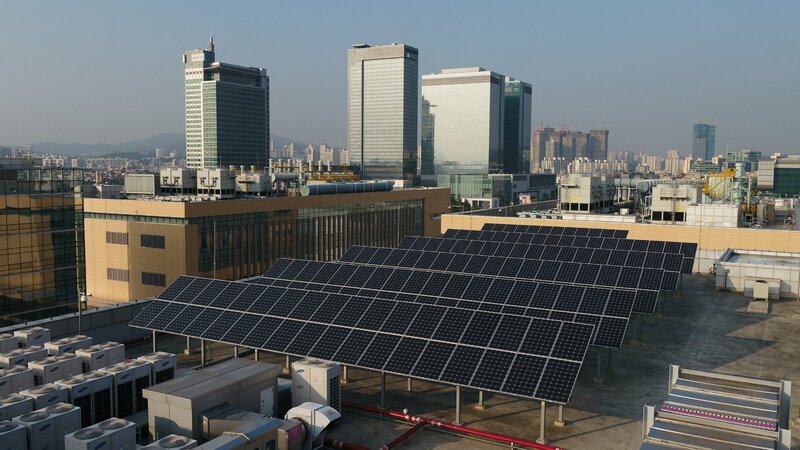 Samsung’s first step in its efforts to go green will begin at the Digital City, its headquarters in Suwon, where the company will install solar panels in an area that spans 42,000 square meters in the coming months. It will then add “solar arrays and geothermal power generation facilities” in a 21,000 square meter radius in its Pyeongtaek and Hwaseong campuses in 2019 and 2020 respectively. Samsung’s calculations say the power it will generate from solar energy by 2020 will be similar to the yearly energy consumption of 115,000 four-person Korean households. Samsung isn’t just making its own facilities environment-friendly. The Korean giant says it will be working with its top 100 supply chain partners to help them reduce their dependency on non-renewable energy sources once it has joined the Carbon Disclosure Project Supply Chain Program, which is a UK-based organization that helps companies take account of their impact on the environment. A pretty major commitment, one that Apple has already completed thanks to the lower number of businesses and product categories it dabbles in compared to its South Korean rival.